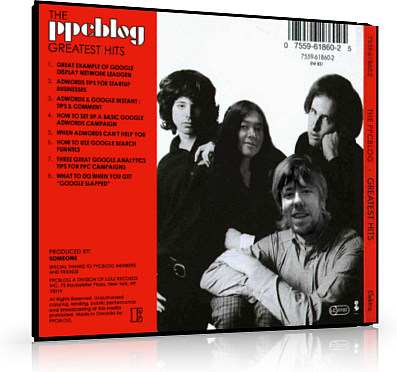 PPCblog’s Greatest Hits – A Compilation of Our Best Posts! Eventually, everybody gets to the point that they need a greatest hits compilation… here’s PPCblog’s… We’ve gone through and hand-picked our favourite and most helpful PPC blog posts, categorized for your viewing enjoyment. As we continue to provide helpful guides and advice on the world of paid search, we’ll keep this page updated, so please share it with friends and colleagues who are interested in the world of PPC! Should You Focus on PPC or SEO? Should You Outsource Your PPC Account? Is Adwords Too Complicated for the Average Business? Are “Long Tail” Keywords Overrated?